Anniversaries kind of remind you the days that have passed and make you pause for a moment to think back on those wonderful days that slipped out without even you knowing. Well August month sure makes me feel nostalgic for many reasons. 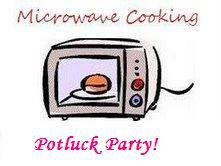 On personal front, I have quite few and blog front, of course I have my favorite event Microwave Easy Cooking Event's Anniversary coming up. On this topic I also find it quite strange that while each year I celebrate this with a party with bloggers bringing on their favorite dish, I also pause every year to think back to how it all started! There are always so many readers who write to me, who over many email exchange become pretty close. Then all of a sudden the communication just stops. I feel so dejected over such incidents. I really wonder what would have happened to those lovely folks who touched life in a different way. I really wish things are fine their end, they are just too busy to write back. Most times I almost think, almost ok that I am writing to myself. It's when I get these personal emails I get the feel that real people read this blog and I may end up being very opinionated. Well that's what makes this blogging more wonderful. I would want to thank all those nameless readers and some, including my wonderful blogger friends who made this event step forward. On blogger friends, I met a lovely blogger this afternoon. Rebecca mailed me few weeks back saying she was in town and would like to meet. Though we weren't sure if we would actually get down to meet, as she was on a tight schedule, I was so glad that we could meet. She has a lovely blog more of a global appeal, Chow and Chatter and her lil angel was so adorable. It felt as if I have always known her. Coming to the round up, since this is a party, let me list out the menu! PJ wanted to make the best when she found the tomatoes more in abundance. And nothing is more healing than a hot Tomato Soup and whats more convenient when she gets it done in just 10 minutes! 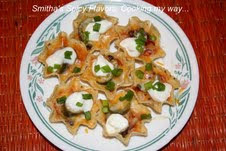 As Smitha was wondering what to make for the MEC party, she thought these cute little Mexican party scoops will be the best option. 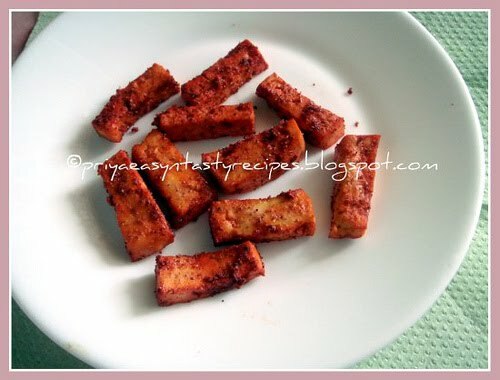 She says these are so easy to make that even when you have an unexpected guest calling on you, you can have this ready within minutes. Lataji had a grand rendezvous with Aparna's Diverse Kitchen. She cooked not a meal but an entire day's cooking from Aparna's lovely blog. Keerai Mulagootal was the one that took her least attention as it was so conveniently cooked in microwave! Who doesn't like Paneer? So it is only naturally that Nive loves it and tries another version of a curry with Paneer and makes it sans onions and garlic. Now when you are on a fast, you surely know where to head on right! It was wonderful knowing that PJ planned to send me a full course meal. 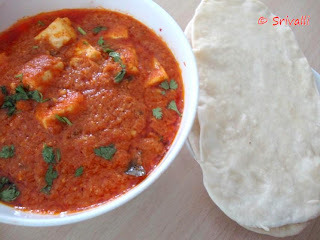 Drumbstick sambar is my all time favorite, so it was way too good that she should make this in microwave! As a combo to the sambar, PJ makes the best of the Okra by making a pepper saute in the microwave. This not only removes the sliminess but makes it much more crunchy! Way to go PJ! 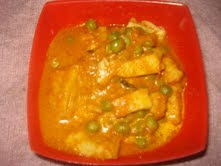 Then a low calorie dish, I made this Paneer Butter Masala. 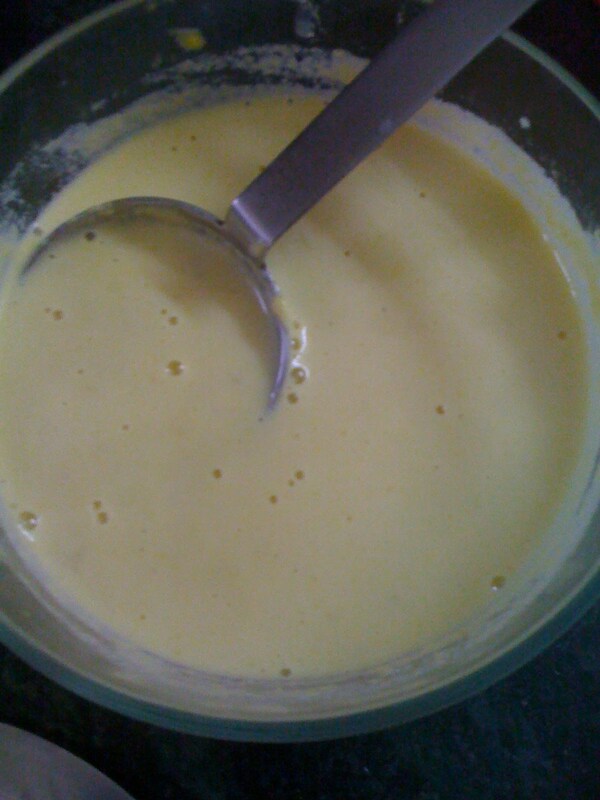 Nobody believed that I didn't add even a tiny bit of butter in it! When you think something is hard, Priya makes it and makes you aware it is infact very simple. 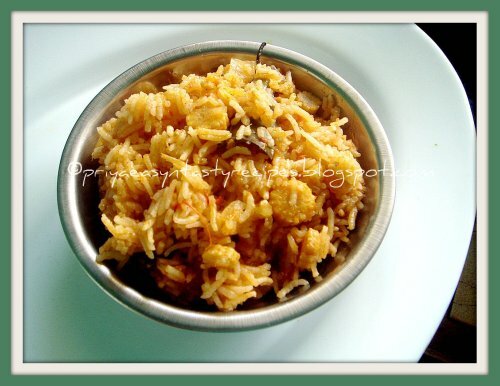 That's what she goes to prove by dishing out a great looking pulao all in a microwave! 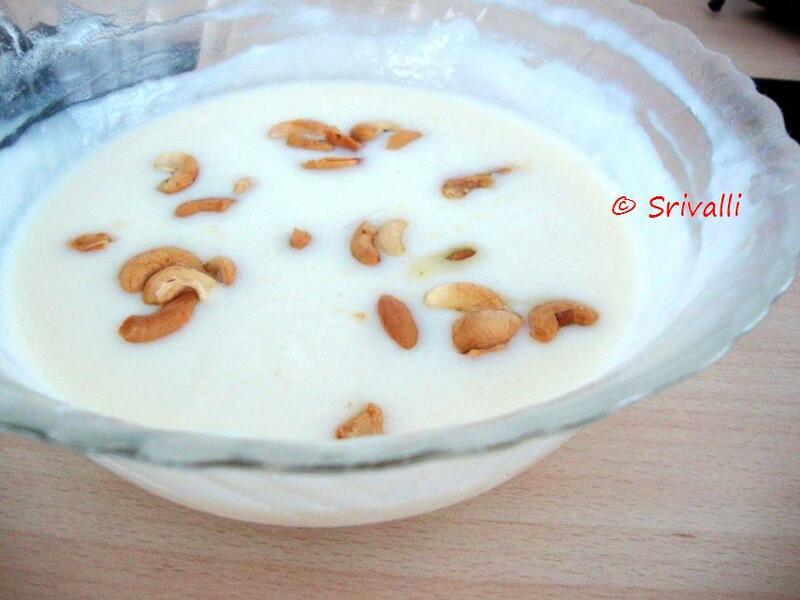 Aparna was inspired to make a kheer with apple as her son loves apples. I am sure we will love it too! Indrani show how quickly one can make Peda at home using Microwave. She talks about how tedious this process was before but with microwave one can get to do this much more easily. And you can enjoy the Kaju Peda without much hassle! 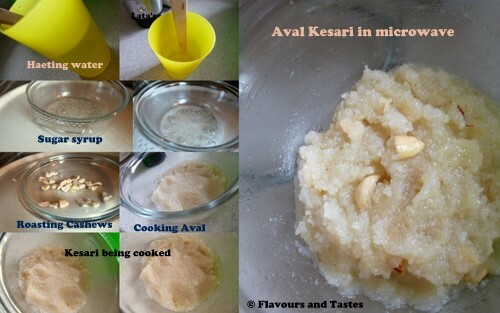 Lataji sends in a tempting Aval Kesari made in microwave as a way to celebrate her mom's birthday. 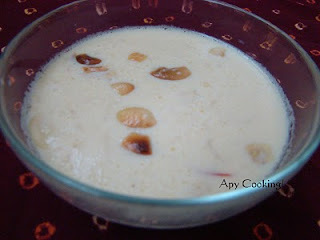 What better way to celebrate than with a payasam. 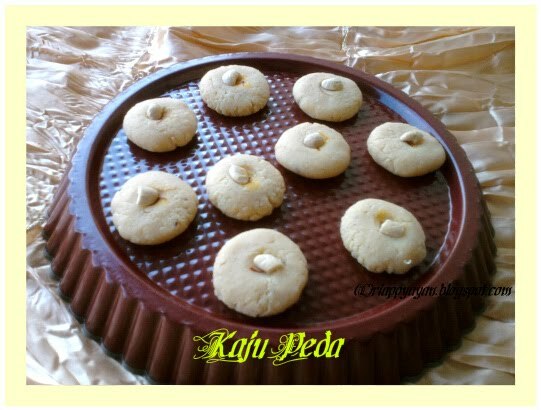 Pedas are childhood love for Nivedita! And she confesses it continues to be so too. But she was always apprehensive making these at home. When she found an unused complan bottle, what else will her mind say to her! Lo a Complan Peda and if you crave for more, you can try out Chocolate Horlicks or Boost too! PJ rightly says there is no celebrations without sweets and for the occasion she made a halwa with Beetroot. Whats more wonderful than to celebrate a birthday? 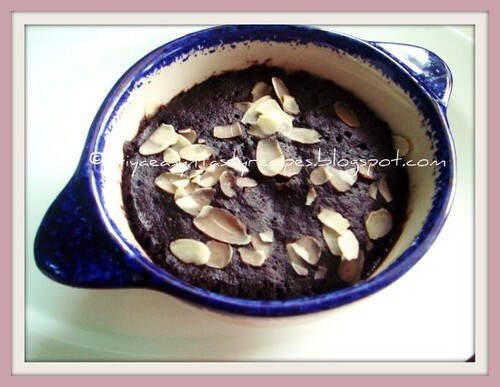 Priya makes a eggless version of a tempting cake! to celebrate her son's birthday and it was done in 5 mins! Satyasree makes this Rabri from her favorite book that her hubby gifted her. No wonder it looks so tempting! 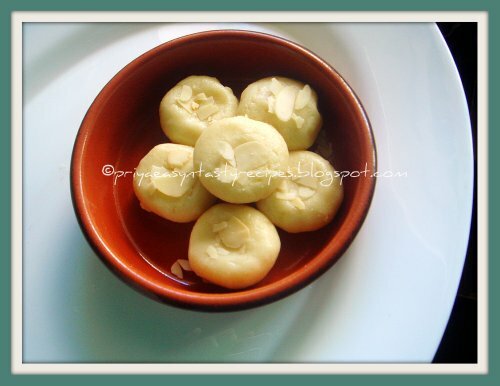 Another simple to make dish comes from Smitha Pineapple Kaju Burfi is not something you will say no that easily, and if it looks as tempting as it is in the picture surely no no..
Another simple yet easy to make was this gulabi phirni that I made in microwave! Vidya makes a payasam with Mango and nuts and it only took her 10 mins to get it done! Thank you for joining us for the party! Hope you all enjoyed the dishes. I hope I added all the entries but do let me know if I missed any..
Next edition of MEC is hosted by Nivedita themed on Fruits. See you all next month.